Tesla and SpaceX CEO Elon Musk takes part in an information-packed and insightful interview with TED's Chris Anderson. There's been a lot of highlighting in the press about Tesla CEO Elon Musk's latest TED interview. We shared some key points including his Boring teaser, but there's a whole lot more to learn in this 41-minute video. Musk generally takes to Twitter to deliver new, exciting news, or to answer the myriad of questions that exist. There are always new questions popping up, because every time we turn a corner, Musk has some new idea or announcement, and he tends to keep it light on the details. Musk is a very busy man, but from time to time he sits down for an interview. It is an opportunity for him to bring us up to speed on all of the happenings at Tesla and SpaceX, current status and successes, and what's in store for the future. While many of Musk's appearances have mostly been an opportunity for him to revisit or elaborate on a lot of the same information, this talk is stocked with new material. 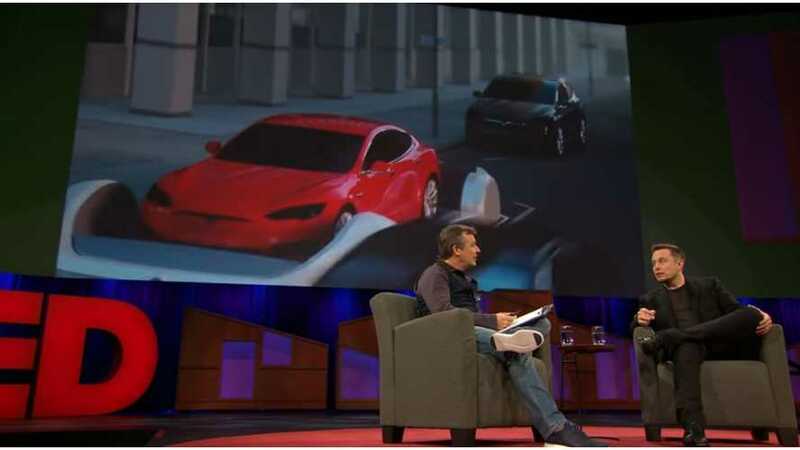 Aside from the Boring stuff - and beating Gary the pet snail - and using strobe lights to view Gigafactory cell production speed - Musk talks about flying cars, the hyperloop, Tesla's semi-truck, Mars, and Tesla and SpaceX in general, of course. You can also read a summary of the TED interview questions at the TEDBlog. The serial entrepreneur took part in an engaging 40-minute interview with TED's Chris Anderson on Friday, April 28, 2017 at the TED 2017 conference in Vancouver. Here's Elon Musk talking about the Boring Company, SpaceX, Tesla, hyperloop, Donald Trump, and more.